Visiting Barcelona during Christmas is an excellent idea because of its pleasant Mediterranean climate, with temperatures that are not excessively low in winter. In fact, the Catalan capital offers an endless list of activities and attractions for any visitor, whether you decide to travel to Barcelona with children or to go on a romantic holiday just for two, or a weekend break with friends. Year after year, the streets of Barcelona get engaged into the Christmas spirit, allowing you to contemplate its countless treasures from a different perspective. Moreover, if you stay in Lugaris rental apartments in Barcelona, you will enjoy the comfort and rest you need after a long day full of emotions. Below, we summarize a list of things to do in Barcelona during Christmas, with the best suggestions you can’t miss if you come in December or early January. Make a note! Vienna? Nuremberg? Prague? Although all of these cities are famous for their mesmerising Christmas markets, you don’t have to go to the heart of Europe to experience the magic of these days. Just stroll around the markets of Barcelona to find everything you need to decorate your home. One of the most traditional ones is the Fira de Santa Llúcia (in the photo), which is held from late November to 23 December in the Cathedral square. Documented since 1786, it is the oldest Christmas fair in Barcelona. The same could be said of the Fira de Nadal de la Sagrada Família, which is held on the same dates in front of the most emblematic building and one of the statement pieces of Gaudí art in Barcelona. There you will find Christmas tree stands, Christmas decorations, nativity scenes and related figurines, the traditional figurines of caganer and tió – a nice tree trunk that brings gifts to the little ones, and much more. It has been for some years now that Plaça de Catalunya hosts a fundraising market, in which some NGOs offer fruits of their work. There is also a chance to acquire practical gifts with a social background. 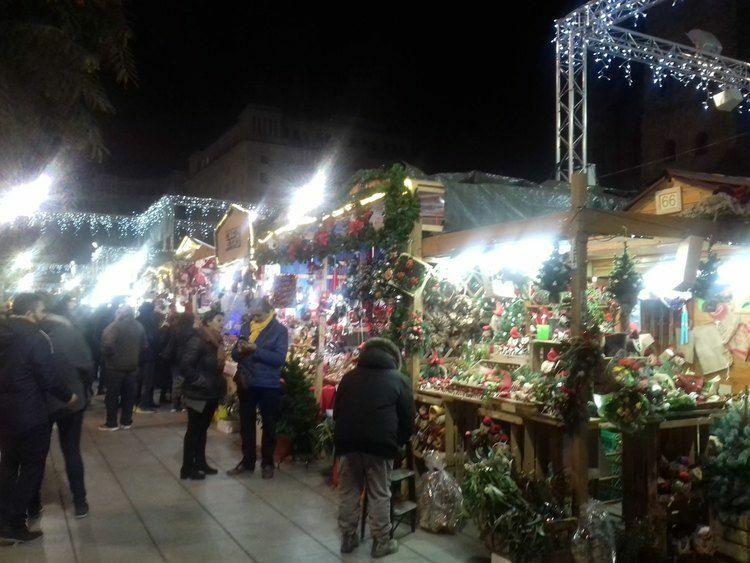 And if you visit Barcelona in January, before the 6th, you can’t miss the mercadillo de Reis, which spreads along the Gran Via de les Corts Catalanes between Plaça de Espanya and Plaça de la Universitat, in the Eixample Esquerre and near Montjuïc. If you are looking for the wooden toys from your childhood, here you will surely find them. To say that the city dresses up for Christmas isn’t just a figure of speech. Without going any further, its neuralgic centres showcase nativity scenes (a Catholic tradition that dates back to the 13th century) that are usually the center of attention in most homes. Among the most popular ones we would like to mention the one in the Plaça de Sant Jaume (in the photo). 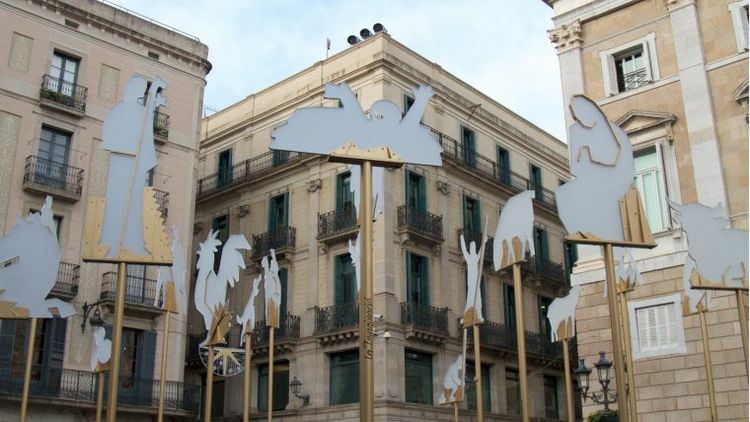 In front of the Barcelona City Council, there is a nativity scene which surprises everyone with its originality every year. On top of this there is a traditional exhibition of nativity scenes that takes place in the church of Carme, on the Ramblas, and which has been celebrated for more than half a century. You can also visit a life-size nativity scene that sits on the ruins of the old Born market, the most important 18th century archaeological complex in Europe. Here’s a tip: get your camera ready! What would Christmas be without traditional Christmas lights? 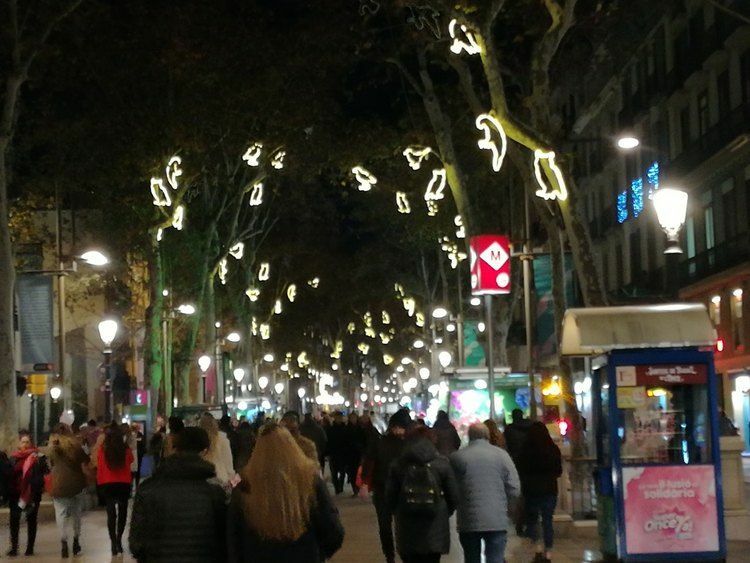 From the end of November and until the Three Wise Men’s Day (6th January), the streets of the capital of Catalonia are decorated with thousands of light bulbs, encouraging Barcelona residents and tourists to visit its main shopping streets. In the photo, you can see the lights of the Ramblas, which pays homage to the old stalls selling animals which in the past dotted the upper part of this iconic street. Music is also the main attraction if you visit Barcelona during Christmas. 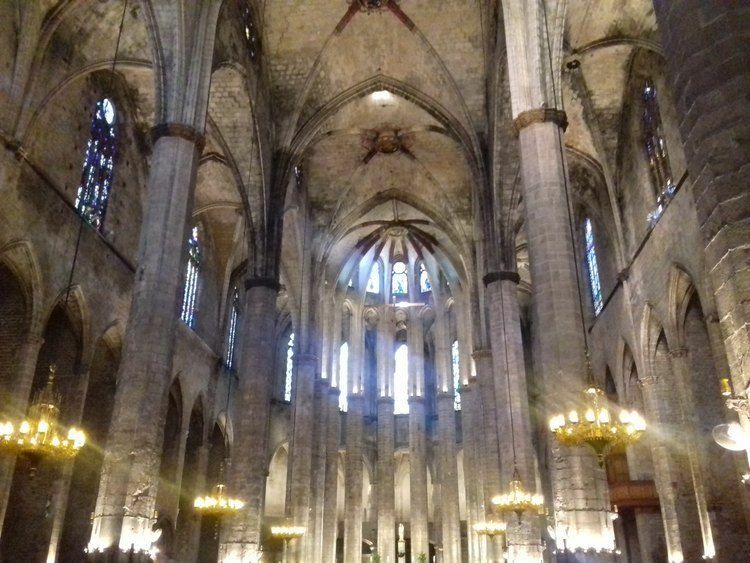 For example, during the days before Christmas Eve, the churches of Barcelona are filled with classical music to commemorate the birth of Christ. One of the most traditional concerts is the performance of Händel’s Messiah, which is organized annually in the imposing basilica of Santa Maria del Mar, just before December 25. Even the beautiful Palau de la Música Catalana, declared a World Heritage Site by UNECO in 1997, also programmes its own Christmas recitals. Add it to your to-do list! 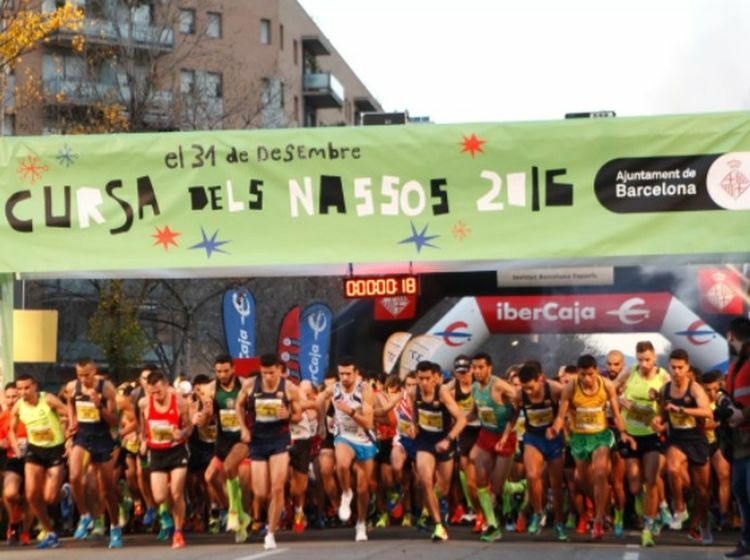 Just like Madrid organizes the San Silvestre Vallecana, Barcelona ends the year with its own athletic event: the Cursa dels Nassos. The name of this race originates from a joke often played on Catalan children in the past. Every December 31st, the date on which this competition takes place, they were told that there was a man was walking down the street, who had as many noses (nassos) as the number of days before the end of the year. Upon hearing this, the children tried to find the unusual character, not realizing that each and every passer-by was that mysterious home dels nassos (the man of noses). How about you, would you want to put your running shoes on? By the way: the meeting point is very close to our holiday apartments Lugaris Beach and Lugaris Rambla, so you have no excuse. You don’t have to go to Rockefeller Center or Central Park in New York to test your skating skills. 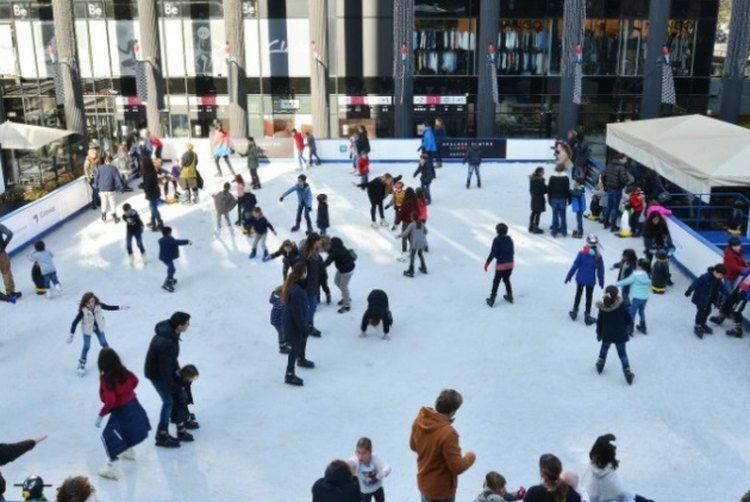 Just get to the Pedralbes shopping centre, in the Les Corts neighbourhood (Maria Cristina metro station, line 3), where children and adults will have a great time gliding on the ice rink. For almost two decades the facility is available until one day after the 6th January. Moreover, if you’re looking for fun things to do in Barcelona, there are two permanent skating rinks: one by the Camp Nou and another near plaça Tetuan. The children of Central and Northern Europe have Saint Nicholas and Santa Claus; those of Russia, Ded Moroz; those of Italy, la Befana, and those Barcelona have the Reis Mags (Three Wise Men). To welcome Their Majesties from the East the way they deserve, the streets of the city centre dress up on the evening of January 5th to host a spectacular parade of floats from where tons of sweets are thrown to the public. 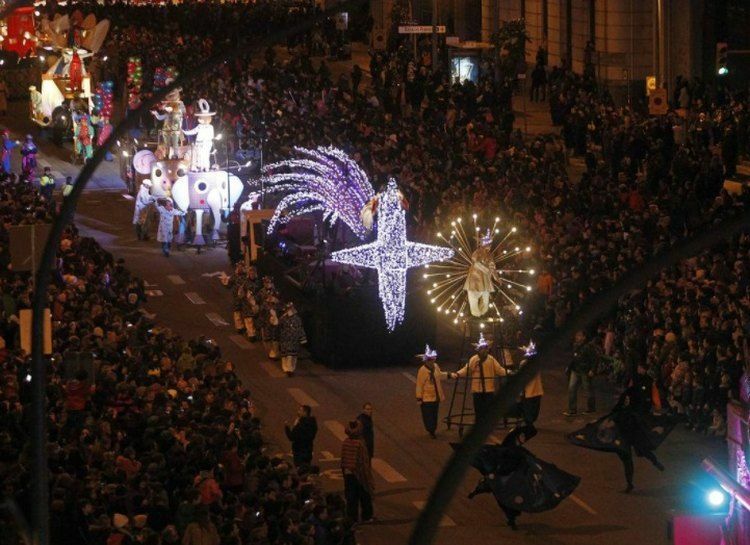 However, don’t forget that most neighbourhoods in Barcelona organise their own Three Wise Men parades. They may be less eye-catching, but this does not affect the jolly spirit. You will see it for yourself when you look at children’s faces, full of amazement and excitement. To top everything up during this cold evening, how about having some of the best hot chocolate and churros in Barcelona? What other things to do in Barcelona during Christmas do you know about? If you have other suggestions, do not hesitate to send us your comments: we will be happy to share them with our followers. Great tips! We were wondering what Barcelona’s traditions during Christmas were and thanks to this post we have a better idea of it. We would like to watch the kings parade, do you know where it takes place exactly? The parade takes place on the sixth of January at around 6 o’clock. People usually gather around Barcelona’s main streets a few hours before, it is a very popular event. A good place to watch it is Avinguda de Maria Cristina, for example.